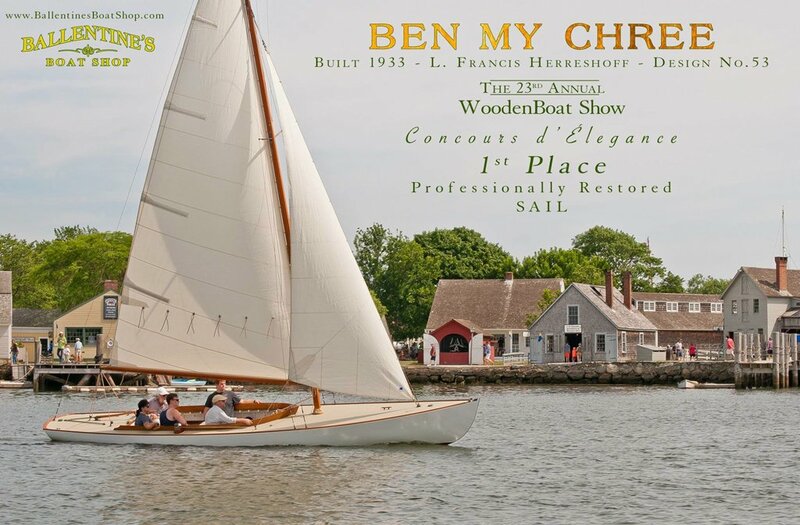 This boat is a descendant in a long line of great Herreshoff creations. In this case, L. Francis succeeded admirably in utilizing all his earlier experience and familiarity with his father's great designs, advancing them with his own independent genius and artistry. What evolved is his own pure creation, and an exceptional daysailer. 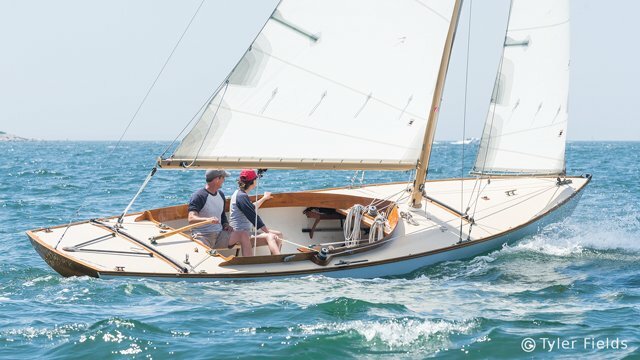 The Stuart Knockabout is a splendid example of her pedigree. She is exceptionally fast and, therefore, a joy to sail. She also has surprising power, considering her modest sail plan, and is not slowed perceptibly by an oncoming sea. She is comfortable and forgiving, and with every unnecessary piece of complicated gear absent, what is left is an uncluttered, simple, easily handled thoroughbred. Every boat is, to some extent, some kind of compromise. But if you are looking for such attributes as space, comfort, ease of handling and shallow draft, combined with lots of speed in a larger elegant daysailer, you will probably not find a more qualified boat than this. 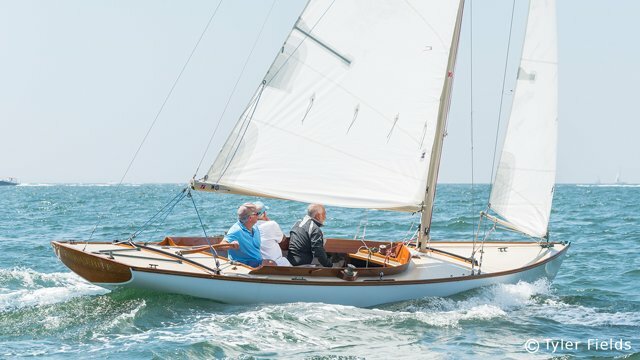 The Stuart Knockabout is an excellent option both for people wishing to upgrade from a smaller daysailer, and those wanting to experience a more simple alternative to their large cruisers. 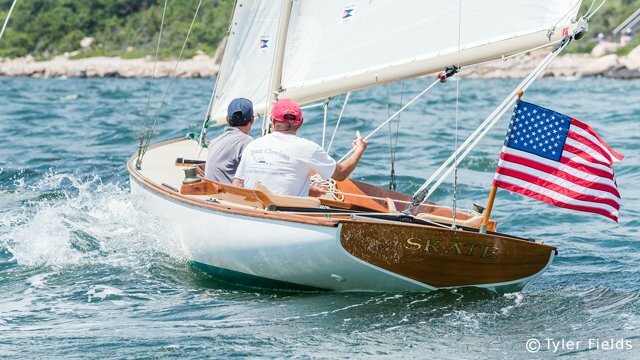 The Stuart Knockabout has been a great next step for many Herreshoff 12 1/2 sailers because the SK offers more flexibility and excitement, while retaining the classic aesthetic. The larger boat owners have also enjoyed the SK for their next boat because of it's convenience and ease of sail. 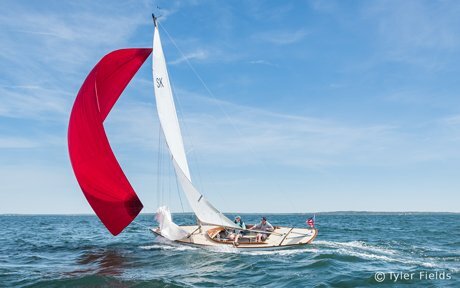 How many owners of cruising sailboats habitually day-sail their boats? How much better off might some be in a really fine day-boat? The Stuart is easy to get underway and quick to put to bed with or without a crew. 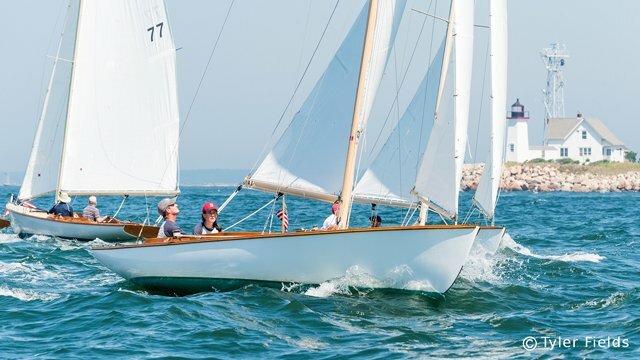 With the closing of Edey & Duff in 2010, and Bill Harding's retirement, Steve Ballentine and his daughter Amy Ballentine Stevens bought the molds and rights to continue building and marketing the Stuart Knockabout. 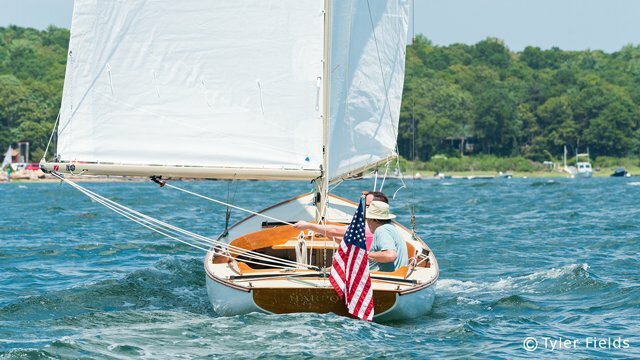 Stuart Knockabout LLC is located at Ballentine's Boat Shop where final construction, finish and sales take place. 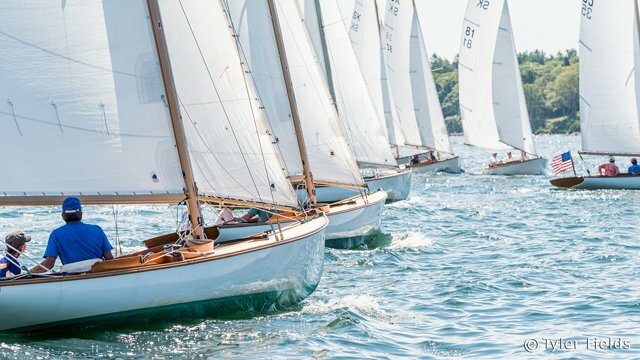 If you would like to know more about these boats, or would like to go for a test sail, please Email Us! We are currently taking orders! GOOD NEWS! October, 2016 - Stuart Knockabout and Ballentine's restoration of BEN MY CHREE are the cover story for this month's Classic Boat Magazine - Get your copy HERE!. 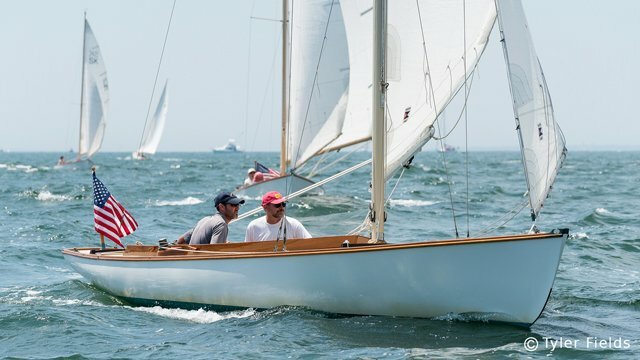 Read Classic Boat Editor's Blog post by Rob Peake - "Knocking About on Buzzard's Bay"
See our Restoration of Ben Page.